1. Name and Territorial Limits. 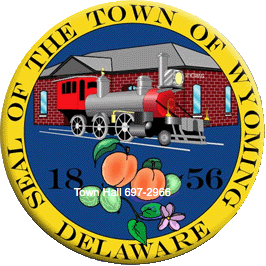 The municipal corporation of the State of Delaware shall hereafter be known as ‘The Town of Wyoming’. The boundaries of the Town of Wyoming are hereby established and declared as depicted on the most recent map entitled ‘Town of Wyoming Municipal Limits’ certified and dated by the Mayor and Secretary of the Town Council and of public record in the Kent County Recorder of Deeds Office. Such map shall, from time to time, be updated and revised to reflect intervening changes in the Town’s municipal boundaries and duly recorded, but failure to record such map shall not void an annexation. The inhabitants of the Town of Wyoming, within the limits and boundaries referred to in section 1 of this Act, or within the limits and boundaries hereafter established, shall be and they are hereby created a body politic and corporate in Law and Equity by the Corporate name of ‘The Town of Wyoming’ (hereinafter ‘Town’), and under that name shall have perpetual succession; may have and use a corporate seal, which may be altered, changed or renewed at pleasure; may sue and be sued; may plead and be impleaded in all Courts of law and equity in the State of Delaware, and elsewhere, by said corporate name, may hold and acquire by purchase, gift, devise, lease or by condemnation real property and personal property within or without its boundaries for any municipal purposes, in fee simple or for lesser estate or interest, and may sell, lease, hold, manage and control such property as its interest may require, subject however to other sections of this Act.